Call Your Representative: No Surrender! We are at that moment when less-than-courageous politicians will think to waffle, turn back, and avoid a fight. If we’re to prevent that outcome, it’s going to take some Hell-raising on our part. Even now, elements within the House of Representatives, in the Republican leadership, are beginning to whisper about capitulation to Obama and Reid. In the Senate, we already know there exists a group of GOP senators who will be only too glad to put this issue behind them. It’s going to take a Herculean effort on our part, but we need to buck-up these politicians. This is, after all, the hard part of their job, and if they won’t stand and be counted in the tough times, who needs them? Go to the House website. On that site, you can find your representative, and all the relevant contact info. Visit their pages on Facebook. Tweet them. Email them. Call them. The more they hear from you, the more inclined they will be to fight, and the more likely they will be to stand up to leadership if they begin to crumble. Barack Obama is trying to bully them. In the end, their own leaders may try to bully them too. Remind them who it is that had put them in office. Remind them of their duty. There is no reason Harry Reid should determine what goes on in the House. Instead of getting tough with conservatives, for a change, John Boehner should be tough on Democrats. It’s time for them to stand up, even if we will need to hand-hold them through it. 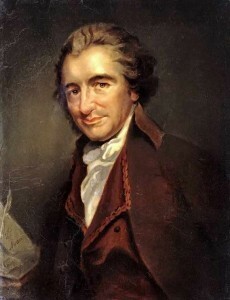 Are We Tom Paine's "Summer Soldiers?" One of the more disheartening things I encounter on a day-to-day basis is the increasing number of Americans who have simply given up. They view the political divide in this country as insurmountable, and they see themselves as fighting their way to an inevitable defeat. Demographers might support their conclusion too, as in so many ways, the culture that had built America is slowly being stolen from us. Illegal immigration and the welfare state are two particular aspects of statist America that seem to guarantee that there will be no reversal within our lifetimes, if ever. One entire party, and the elite minority of the other are apparently committed to reducing the United States to just one more failed historical civilization. Some of them, particularly the left, wants the country to fall, as we have known it, and the elites in the GOP seem quite satisfied to let it happen, merely slowing the collapse to prevent a revolutionary uprising. Many ordinary Americans have simply quit on America, and they’ve gone off in search of whatever temporary relief they can find from the mounting failures that now characterize our culture. The simple truth is this: We are slowly submitting to a culture of surrender. “I can’t do anything about it, anyway,” is the common refrain. “Why pay attention to politics? 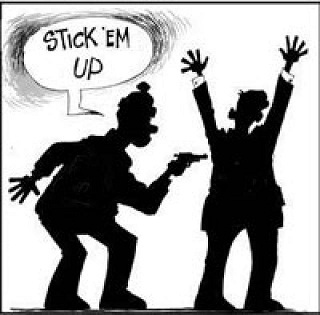 They’re all crooks, and none of them care for the interests of the people…” This sentiment is now so widely held that it spreads as a contagion, not merely among ordinary citizens, but also among those who have extraordinary talents for leading. With the Thanksgiving, Hanukkah, Christmas, and the New Year approaching, many seek refuge in the momentary pleasures of these traditions, and the family-centered comfort they offer. It’s not an ordinary year, and none should let their attention on our nation’s condition be diminished. This isn’t 1995, or 1983, but as I’ve explained before, it’s 1859. We linger on the brink of a civil war that will cast this nation into chaos for generations, and few seem willing to notice. It’s not that the evidence is unclear, and it’s not that people don’t know it, but that they have made the conscious decision to ignore it. “Maybe it will go away,” or maybe “it will work itself out,” are common too. “It’s too big and too complex,” is among my favorites, precisely because it is the size and complexity of the machine that leverage in favor of reform. In our point-and-click, plug-and-play world, many have lost the patience and self-discipline to see things through. It isn’t easy maintaining one’s focus against the tide of media outlets, and popular culture, all of which offer that siren’s song of avoidance. It’s a real problem we conservatives face, because too often, we see the most stunning developments in our political world, and look around us to realize that only a relative handful have noticed. Dis-spirited and demoralized, it’s little wonder the American people look for distractions, but the sad truth is that we permit it. I’m guilty of this thinking from time to time myself, if guilt there is, but to tell you the truth, I don’t think we can just wait it out. The way things are going, if this all collapses, it’s likely to come down on our heads. I’m not finished yet, and I know many who aren’t, so while it’s frustrating and maddening, we really must become more involved. In the end, we really may have no recourse, but I think that so long as we do, we must fight for our values, and that we must continue to spread the word on the events of the day. Like so many of you, I don’t miss the opportunity to speak out very often, but the problem is that much of our intended audience has tuned out. It’s as though the nation is waiting for that collapse, but seldom do nations simply fall. Corruption in governments goes on with or without the consent of the governed, and whether or not people are willing to notice. They continue to gather more power, more authority, and more control until there is nothing but government. Our founders warned us against failing in vigilance, because they knew all too well the predatory reflexes of those who would rule over us. Statists come in various forms, and on the basis of varying excuses, but they all share the same underlying belief: It is theirs to rule, and yours to serve the interests of the state, which always really means them. They claim the interests of the public are met by fulfillment of the interests of the state. This is the reason they can take multi-million dollar vacations, with you picking up the tab. The interests of the public are served, they say, because in carting Michelle Obama all over the globe with her platoon of friends, the interests of the US are advanced in the name of its prestige, and as a matter of good will. I think I’ll try that on my boss next time I want a pay raise: “Boss, it’s in the interests of this organization to pay me better so that I will be a happier and thus more effective ambassador for the organization.” My bet is that if he didn’t fire me on the spot, he’d probably call paramedics, certain that I had flipped my lid. This is the problem with our government, and it’s not going to vanish by pretending it away. No growing tyranny ever does, because in truth, the kinds of people who seek to rule are also the sort of people who are always looking for “one more postponement,” as Ayn Rand once noted. Isn’t it true? Look at the budget, the debt ceiling, and the intransigence of both parties in tackling this issue. Their answer is to create a super-committee, that will effectively do nothing of consequence except perhaps to increase the misery of every working American. look at the impending meltdown of Europe. It’s born of the same thing: Juggle things as long as possible, and once it collapses, blame somebody else for the problem. In this context, it’s easy to understand why the American people are demoralized. Consider the case of the Tea Party: Here had been a real grass-roots movement, but from the outset, they were treated as pariahs, their motives were impugned, they were falsely and repeatedly called racists and terrorists, but with millions having attended various Tea Party events, none of the were arrested, there were no acts of violence(except against them,) and they left every venue cleaner than they had found it. They observed local ordinances, filed for and received permits, and observed the rule of law they said they cherished. Contrast this with the bizarre and chaotic spectacle of the Occupy protests. The media actually sympathized with them, and even that was not enough to conceal the illegal behavior, the unbelievable messes they’ve made, and the crime that has accompanied virtually every one of their major assemblies. Combine this with violence, the expressions of antisemitism, and all of the focused hate they have spewed for two solid months, and what you realize is that the American people ought to be a bit dis-spirited. They have watched the mobs of ne’er-do-wells make a mockery of the notion of peaceful, law-abiding protests, and yet they have only lately begun to garner some negative attention in the mainstream media. This has been done with precisely this end in mind: Tell the Tea Party “you’re irrelevant,” and with any luck, the Tea Party will believe it. I’m here to tell you that there’s no reason to surrender, and that we cannot yield only because the media tells us to do so. We cannot avert our eyes from the crimes being committed openly by this government, or the criminal intent of those running it. We cannot pretend that these things are not happening, nor should we seek a momentary escape from this battle. It’s our battle precisely because it is our country. It’s our fight because we know what is being lost. It’s our engagement because we know the virtues this nation must practice to prosper and thrive, because after all, by and large, we exercise them in our own lives. Clear the cobwebs. The season of family and friendship is upon us, and we mustn’t neglect the opportunity that offers. On average, you will see more of friends and family, and more of your congregations than you see throughout the rest of the year. You’ll share their company. Share what you’re feeling. Share what you’ve seen. Tell them that for the next 12 months, it’s okay to focus on damned little else, because that is what you’re going to do, in the name of your country, and all that you love. No retreat. No stalemate. No surrender.